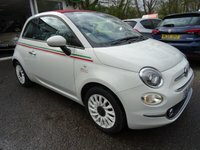 Bunny Motors, your Fiat 500 specialist with a twist! 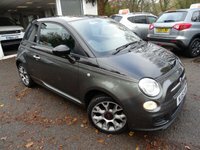 Very Low Mileage - less than 10,000 miles covered! 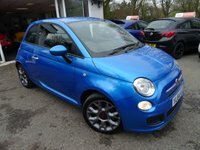 One Lady Owner from new, MOT until November 2019, Serviced by ourselves, Great fuel economy! Only £20 Road Tax! Convertible. FREE 6 months Warranty. 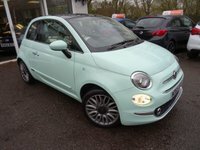 Finished in Smooth Mint Green with Electric Black Roof fully operational up to 60mph!. 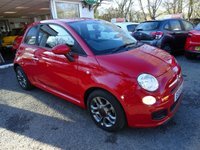 Feature include: Air-Conditioning, MP3 Player, Radio/CD Player, City Power Steering, Start/Stop Engine, Electric Windows + Mirrors, Chrome Exhaust, Spare Key. Low Rate Finance Available. HPI Clear. 5 Day Aviva Drive-away Insurance available. We donate a proportion of our annual profits to carefully chosen animal charities! Can't find the perfect Bunny for you? 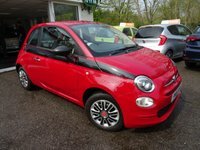 We can source your dream Fiat 500 upon request, if it's not all ready on our forecourt with over 40 to choose from! 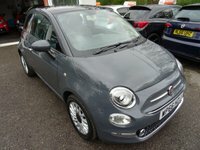 Call Bunny Motors on 01403 791199 or visit www.bunnymotors.co.uk for more information. 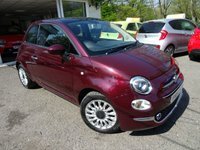 Check out our Bunny Boutique to personalise your Fiat 500 and make it completely unique! We even have our very own Bunny Clothing Range!